Marie-Ghislaine Mera was born in Port-au-Prince ,Haiti and grew up in a small town, Little River. She returned to Port-au-Prince in 1968 after high school to continue her education. She received her childhood education diploma in 1972. She worked as kindergarten teacher for three years. She came in US in 1975, married in 1977. Her marriage last only five years. Single with two children , she worked mostly as a nanny. She lived in New York for thirteen years. In 1988, she moved to Philadelphia, there she went to Gwynedd Mercy College for Nursing. Graduated in 1998. In 2002, she received her BSN from Immaculata University. She worked for Mercy of Philadelphia, Graduate Hospital and at the Philadelphia VA Medical Center. She retired in 2014 after nineteen years of services at the VA. Marie-Ghislaine Mera also known as GIGI is currently living in Philadelphia. She writes for pleasure and she wrote many stories that she never published. Nothing really inspired her to write The Stories of a Little town, she simply want to express how she feels about certain social issues such as :Woman dependence, child slavery , fatherless children, power abuse, poor sanitation , health issues, superstition. Those are some of the major problems faced by third world country people. 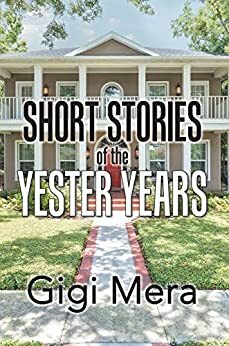 Each of her stories depicts a social issue. Gigi Mera is a mother of two and a grandmother of four. As a child and even as an adult she longed for the love of a father. She was abandoned by her father after conception. She met him once. So, because there are so many children without a father in the third world countries; three of her stories focus on fatherhood. It's the kind of book you can't put down. Seven tales , three of them are about slavery.my favorite is " An eye for an eye". The author has so much creativity . Her style is easy. Each story is summarized, so you know in advance what you are going to read and you can choose which one to read first. I wish there was more stories. You won't regret buying this book and you will not forget the stories. 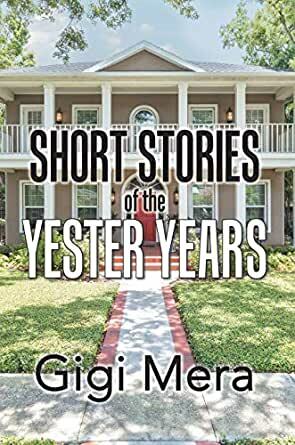 I found Gigi Mera's "Short Stories of the Yester Years" to be nothing short of gripping and culturally opening. Each story could have, and in my opinion, should have been expanded on not just for entertainment purposes but for study on customs and culture so foreign to me. Each character driven by their nature and their nature derived by their own circumstances. I felt sheltered in comparison to the lives of the individuals characters. I am told the stories are fictional; I hope so, but I can see actual accounts being lived out even in today's time.